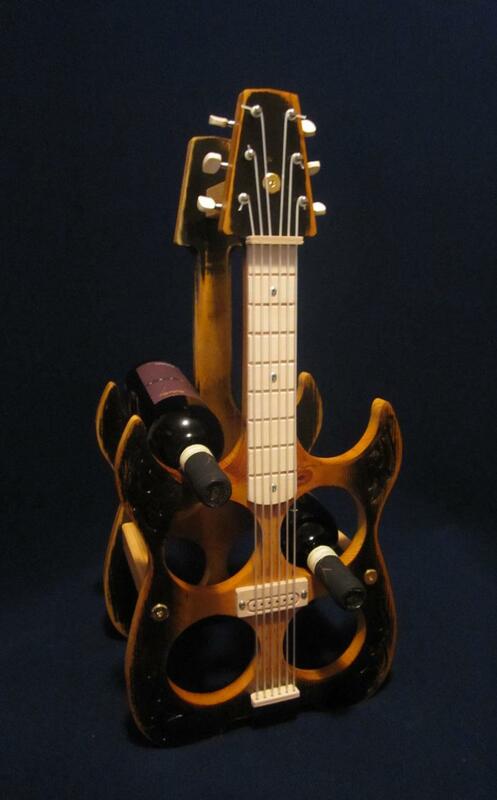 "He loves guitars and wine! He's gotta have this." 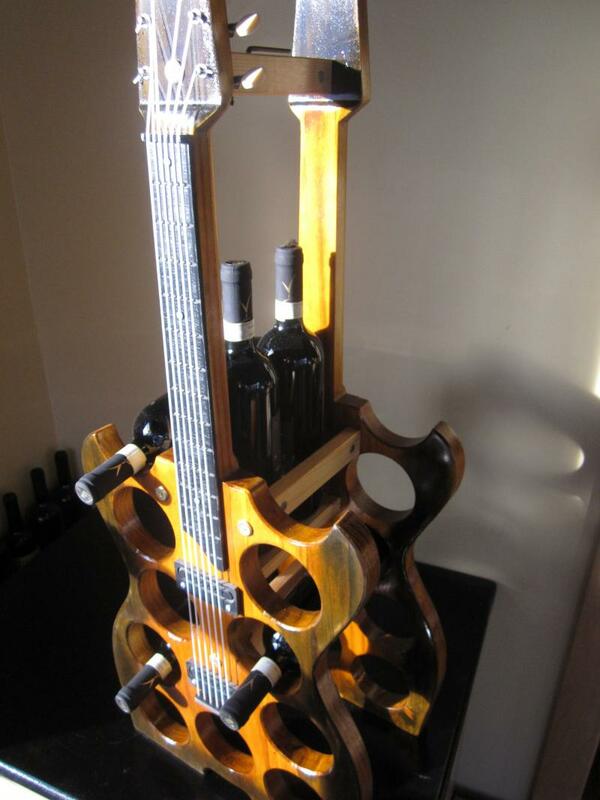 This Electric Guitar Wine Rack stands almost three feet tall! Made of 1" thick Pine, it has real open-gear tuners, durable nylon string, and faux fretboard and pickups. Finished with a light stain and ebony starburst, then distressed for that vintage look. Holds 11 bottles horizontally and 2 additional bottles stand vertically between the necks. How cool is that?